(TibetanReview.net, Aug05, 2016) – Despite massive plundering and destruction by the Chinese during the turmoil of the 1959 Tibetan uprising and especially during the Cultural Revolution (1966-76), the Potala Palace in Tibet’s capital Lhasa still has more than 100,000 cultural relics, according to China’s official CCTV.com Aug 3. The report said it was not known how many cultural relics the winter palace of successive Dalai Lamas housed until now. Thanks to restorers who have been documenting and logging over 100,000 pieces for three years, we now have a much better idea of the wealth of treasures there, the report said. He has said there will soon be a video record also of all the items. 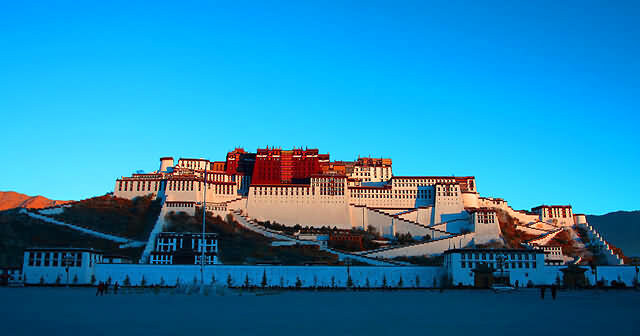 The original structure of the Potala Palace was built by Tibet’s seventh-century king Songtsen Gampo. It was built in its present form by the fifth Dalai Lama and, after his death, the Regent Sangay Gyatso, in the middle of the 17th century. It was recognized as a UNESCO World Heritage Site in 1994.